Evenlyn Baring. The British statesman, colonial administrator and consul general of Egypt from 1883 to 1907, in an 1895 photograph. Sir Evelyn Baring, who became Lord Cromer after the name of his Norfolk birthplace in 1892, was the de facto ruler of Egypt between 1883 and 1907, bearing the title HM’s (Her/His Majesty’s) Agent and Consul General. He was the sixth son of Henry Baring of Cromer Hall and a member of the well-known banking family, the Baring Brothers. Evelyn Baring attended a vicarage school in Norfolk before being sent away at age eleven to Carshalton Ordnance School in Surrey. Baring entered the Royal Military Academy in Woolwich as a cadet at the age of fourteen, and was commissioned as a lieutenant in the Royal Artillery in 1858. After taking various administrative posts in Corfu, Malta, and England, he became private secretary to Lord Northbrook (Thomas George Baring, 1826–1904), viceroy of India, from 1872 to 1876. Baring married Ethel Errington on his return to England in 1876, shortly thereafter departing to Egypt to act as British commissioner for the Public Debt Commission (1876–1880). Baring served as finance minister under Lord Ripon (George Robinson, 1827–1909) in India (1880–1883) before moving straight to Cairo in 1883. After the death of Ethel in 1898, he married Lady Katherine Thynne in 1901. Lord Cromer took up his seat in the House of Lords in 1908 after returning from Egypt, and he remained active in politics in spite of failing health. He died in 1917 and was buried alongside his first wife in Bournemouth. Cromer’s commanding presence seemed to personify the assurance of British imperialism at its height in late Victorian times. He believed that British rule brought ‘‘numberless blessings’’ on the ‘‘subject races’’ of the Empire, and was only ever half-hearted about self-government. He considered ‘‘dark-skinned’’ Orientals excitable, illogical, incompetent, and corrupt—and in need of the benign but firm hand of British tutelage. Cromer’s rule in Egypt began with ‘‘sound finance’’ over debt repayment and gradually came to encompass a number of administrative, legal, civil, and other ‘‘reforms,’’ cautiously pursued. Egypt, he believed, was by nature an agricultural country, and Cromer’s government plowed money into irrigation and extended the railway, while neglecting education and industrialization. Cromer opposed early attempts to build up an Egyptian textile industry with an unfavorable excise tariff. His rule thus presided over the entrenchment of labor-repressive agriculture based on large estates and village headmen, and he failed to accommodate or comprehend the aspirations of new, increasingly nationalist social groups comprised of the urban middle and working classes. Cromer’s unbending stance and heavy-handed tactics eventually brought growing nationalist opposition, as well as calls from London for his recall. He resigned and left Egypt in 1907. Imperial changes accompanying World War I, Wilsonian self-determination, and the mandate system made Cromer’s high-handed approach appear outdated, even from London. In Egypt, opposition to Cromer only intensified after his departure, with the financial crash of 1907, problems with Egypt’s cotton monoculture, and the growth of Egyptian nationalism. Cromer had undoubtedly managed the affairs of Egypt with diplomatic and administrative skill for decades, but the very centralization of power that this process involved turned a hard-working, relatively colorless administrator into a remote, even authoritarian figure who came to blur the distinction between his own interests and those of Egypt, and who was incapable of changing with the times. BIBLIOGRAPHY Cromer, Evelyn Baring, Earl of. Modern Egypt, by the Earl of Cromer. New York, The Macmillan Company: 1908. Owen, Roger. 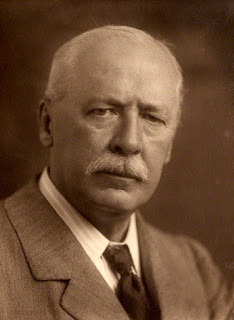 Lord Cromer. Victorian Imperialist, Edwardian Proconsul. Oxford: Oxford University Press, 2004.